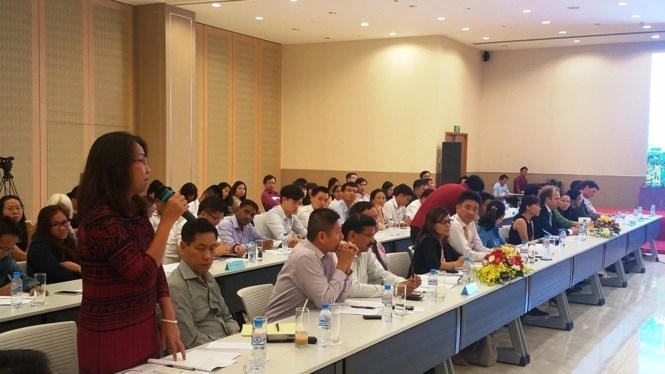 Leaders of Binh Duong provincial People's Committee and representatives from the related departments and sectors joined a meeting with foreign investors, on September 26, in a bid to remove any obstacles for foreign investors conducting business in the province. 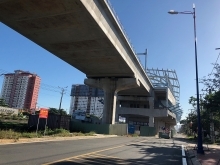 Binh Duong is one of the localities attracting the highest amount of foreign direct investment (FDI) and has a total of nearly 1.3 million local workers, as well as more than 50,000 foreign workers. Due to a large number of FDI projects and workers, many problems have arisen related to policies towards workers, including social insurance payments, health examinations and treatment for foreign workers, and the deductions of personal income tax, among others. Some foreign enterprises said that they have to pay health insurance fees for foreign workers working in Binh Duong but most of the foreign workers do not seek medical care at public hospitals due to the language problems and they often visit international hospitals. A representative from the insurance sector of Binh Duong said that it is working with several international hospitals in the locality so that foreign workers holding health insurance cards can access medical services at these hospitals with their interests ensured. The enterprises also asked for a specific plan to increase the working hours up to 400 hours per year from the current 200 hours per year. They also raised a number of questions on tax policy and confusing legal documents from the provincial Department of Taxation, among others. Other issues related to transport infrastructure and the rights of workers were also discussed at the meeting. The leaders of the province also gave detailed answers to the questions within their competence and other problems which will be sent to the Government and the National Assembly in order to make appropriate adjustments. 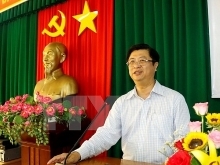 Many enterprises noted that the investment environment of Binh Duong has been improved. The province has attracted nearly US$2 billion worth of FDI since the beginning of this year, reaching 140% of the year's plan and up 27% over the same period in 2016. Binh Duong has 28 industrial zones with a total area of over 10,000 ha and the number of industrial zones is expected to increase to 34 by 2020, on a total area of 14,000 ha.